Durable, reliable and affordably priced! 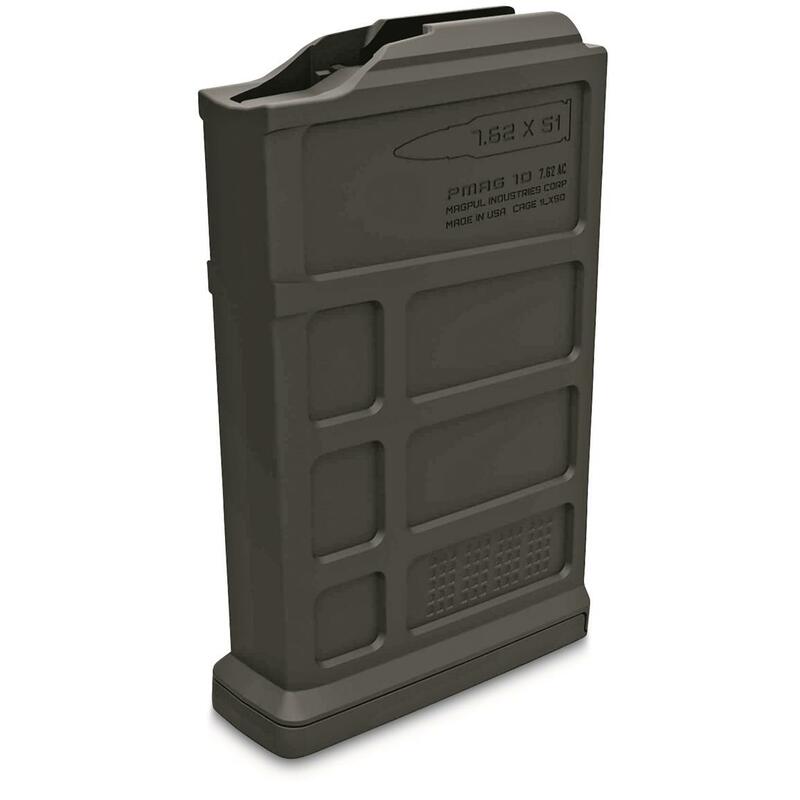 Accepts a cartridge overall length of up to 2.86"
Feed your rifle with the PMAG 10 7.62 AC Magazine. Reliable and durable, the PMAG 10 7.62 AC is designed for the .308 Winchester based family of cartridges and is compatible with short action AICS-spec bottom metal, to include the Bolt Action Magazine Well for the Hunter 700 Stock. Featuring GEN M3TM technology, a paint-pen dot matrix for visual identification, and a flared base plate for positive control and ease of retrieval, the PMAG 10 7.62 AC sets a new standard for bolt action magazines. Comes standard as a 5-round capacity magazine for hunting regulation compliance, but the follower can be easily modified to increase capacity to six rounds for field, competition, or combat use. NOTE: Not compatible with smaller base diameter cartridges such as .220 Swift, .223 Remington, .300 AAC Blackout, etc. or larger short action magnums. In addition, due to the wide variety and potential combinations of aftermarket receivers, stocks, chassis, and bottom metal that accept AICS pattern mags, minor fitting may be required. Not compatible with Accuracy International AE rifles. Better grip, easier to identify.